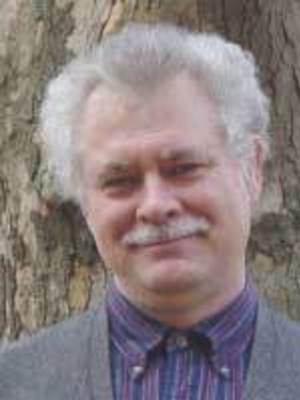 Charles Quinn teaches courses in Japanese language, language pedagogy, classical Japanese, and linguistics. His work in pedagogy, like that of several DEALL colleagues, seeks to more fully conceptualize language as a cultural phenomenon, and to develop instructional practices that answer to that conceptualization. For example, for a learner to build a lexicon that will eventually support real, coherent creativity appears to require a rich and varied, hands-on experience in which words have time to become associated with their many voices: their prosodies, their syntactic and collocational affinities, their likely speakers and purposes, and more. Another pedagogical challenge that Japanese culture confronts us with is in helping learners develop a reliable feel for socially apt ways of referring to themselves and others. Socially apt reference depends on, among other things, an awareness of where one should “stand” vis-à-vis one’s referent and addressee, on which topics, in which settings, for which purposes, and so on. Over the history of Japanese, personal reference has been attuned in fundamental ways to epistemic differences, such as who knows what and who is positioned to claim knowledge of what—which has made practicing it rather different from personal reference in, say, English. To grow reliable memories of this sort takes effort, the help of imaginative pedagogical design, and time—another truth that's inconvenient enough to often be ignored. Quinn has written interpretive studies of the grammatical and discourse functions of inflected form in earlier Japanese; the kakari-musubi construction; auxiliaries ki and keri as evidentials; and sentence-final mo in Old Japanese. Others of his studies examine the derivation and subsequent grammaticization of sentence-final particles so/zo and ka and inflecting adjectives (keiyoosi).